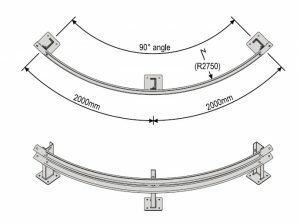 Curved Rails are of optimal use when installed into curved roads or curved objects, without compromising on safety and strength. 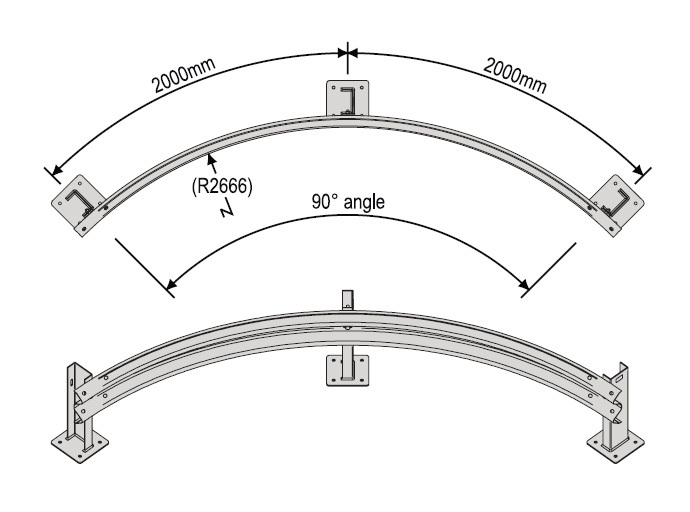 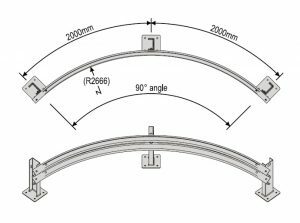 Our Curved rails come in 45 degree angles or 90 degree angles, to suit the difference in curvature needed. 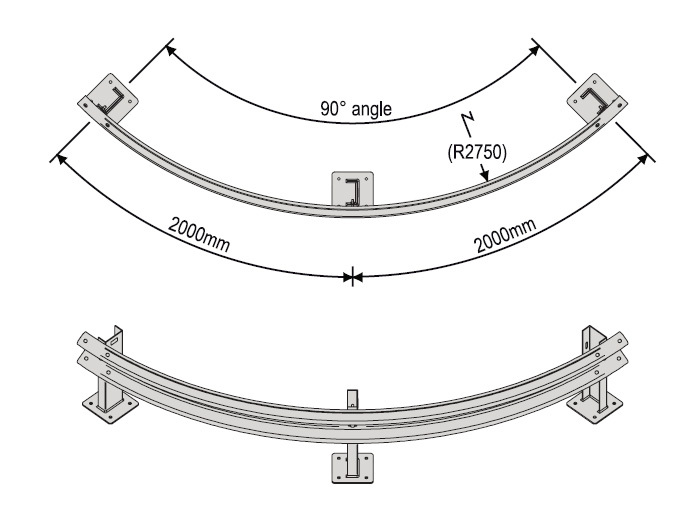 If a larger radius curve is needed it can be obtained using our standard straight sections. 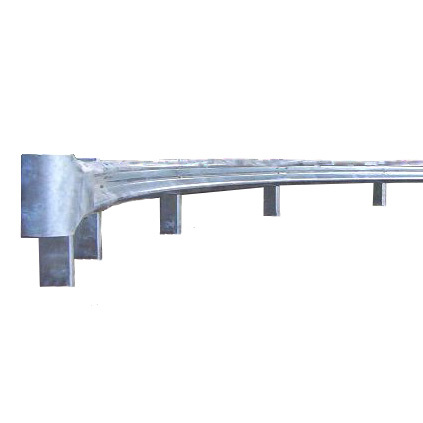 Australian Bollards – Barriers and Guardrails are a flexible safety barrier system that protects lives and property by minimising damage to vehicles and their occupants.